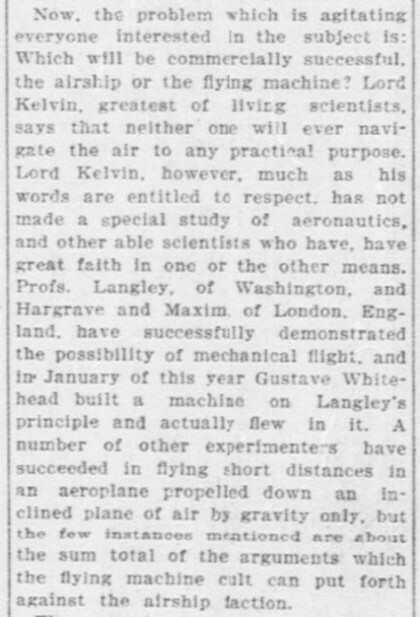 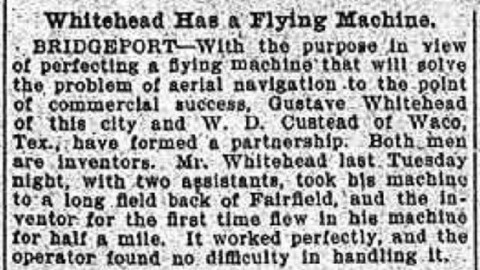 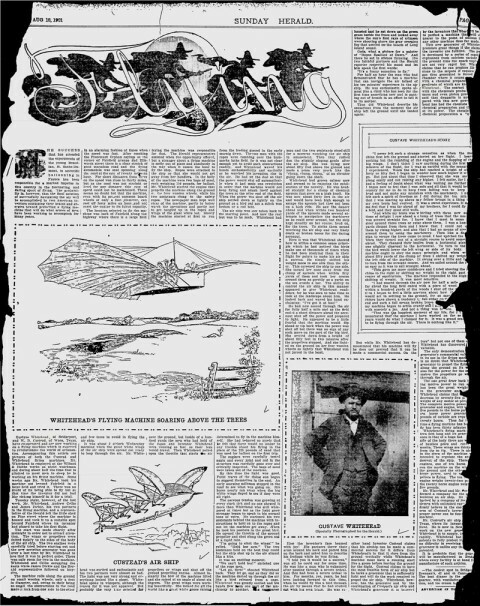 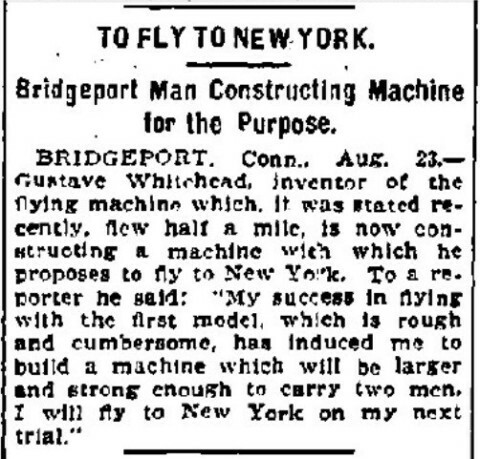 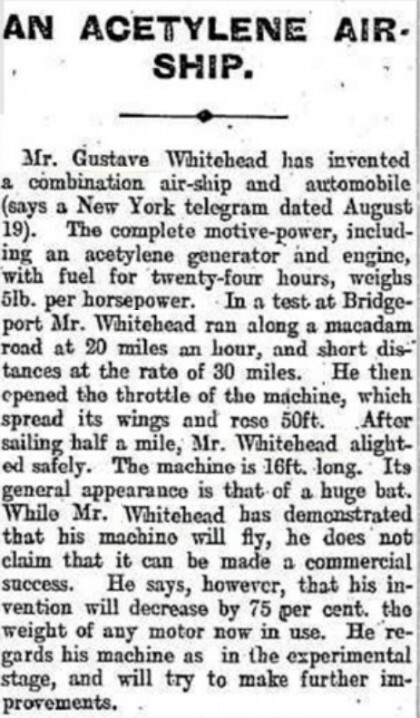 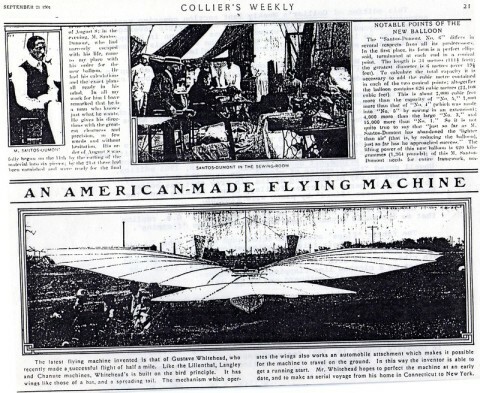 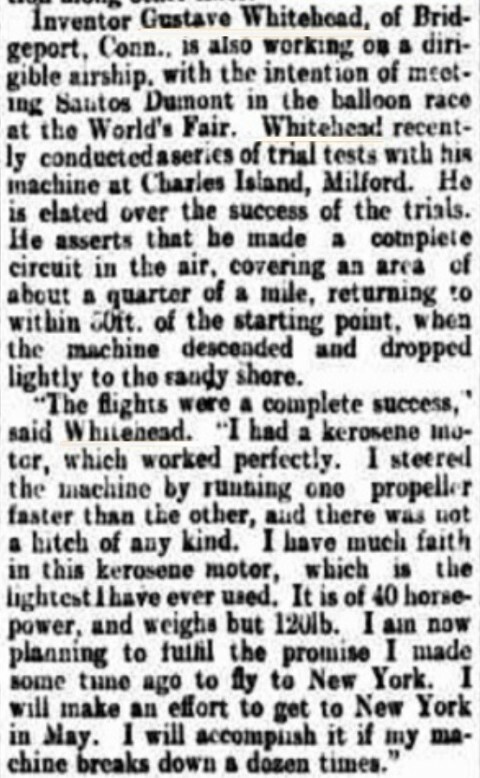 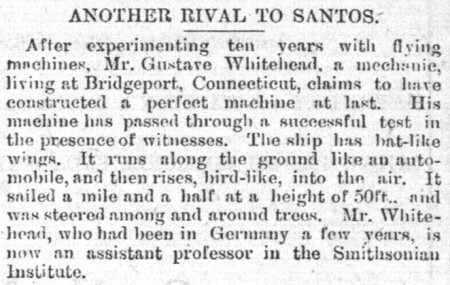 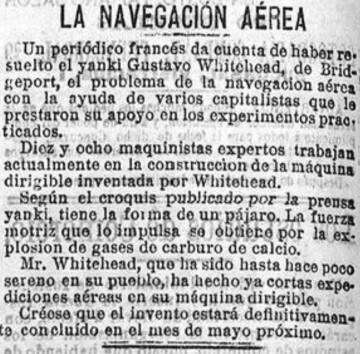 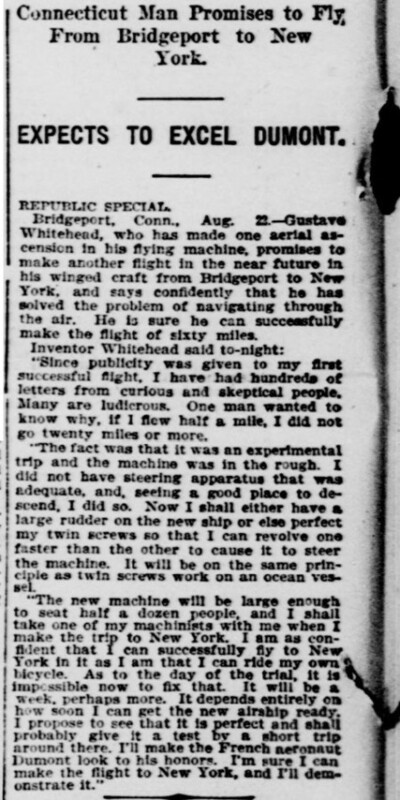 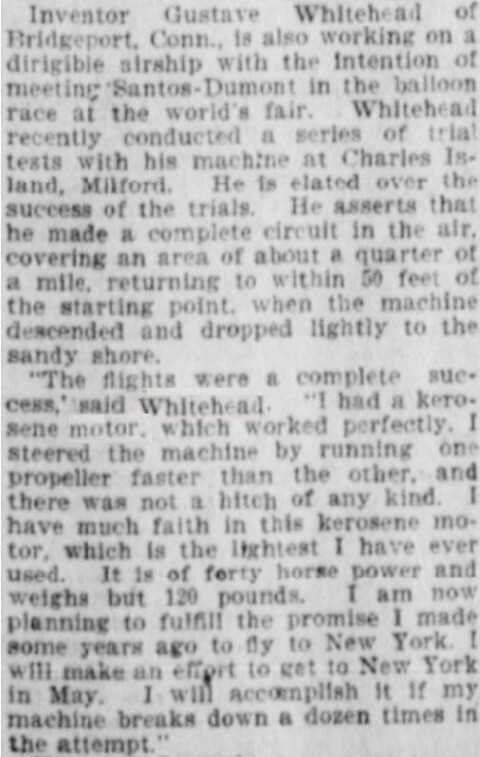 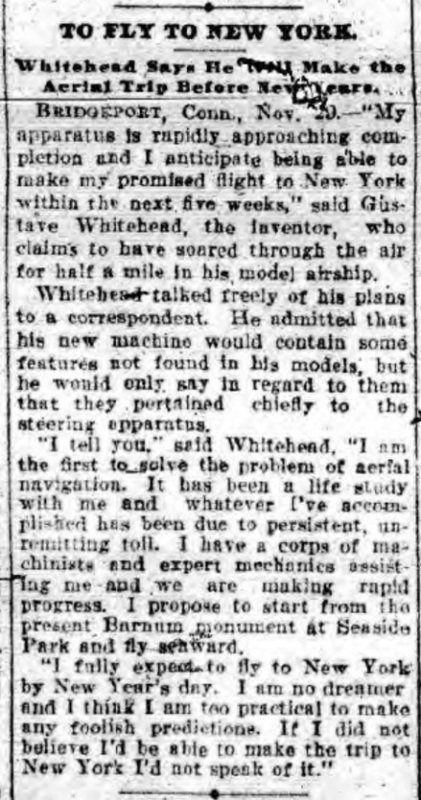 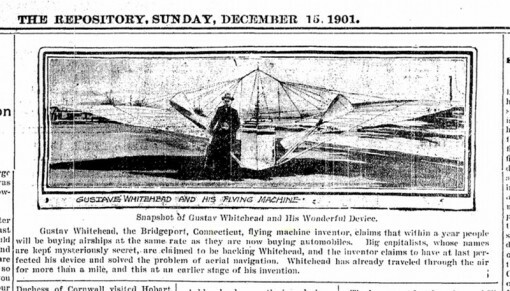 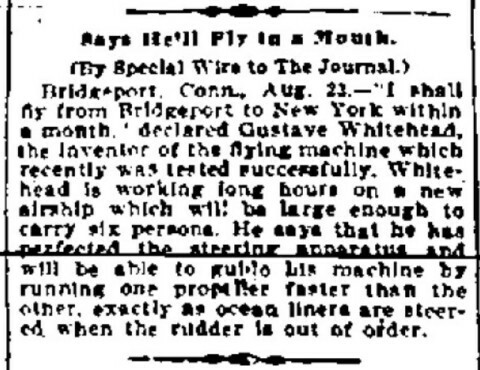 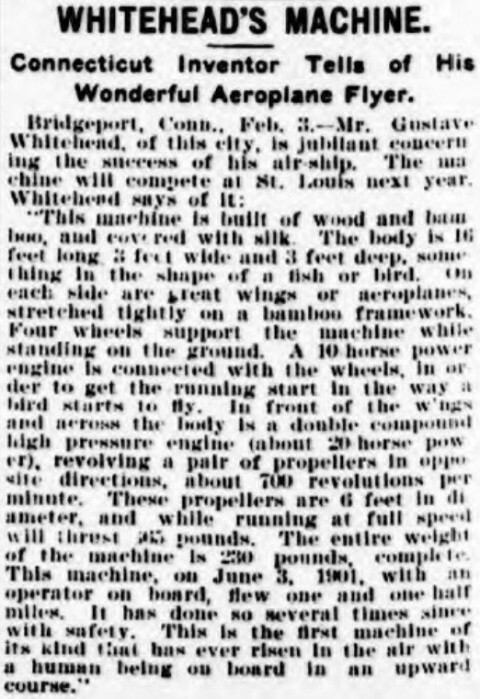 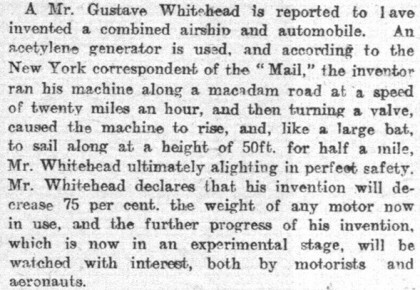 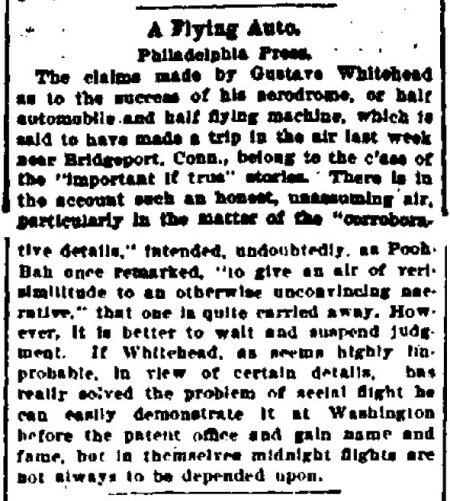 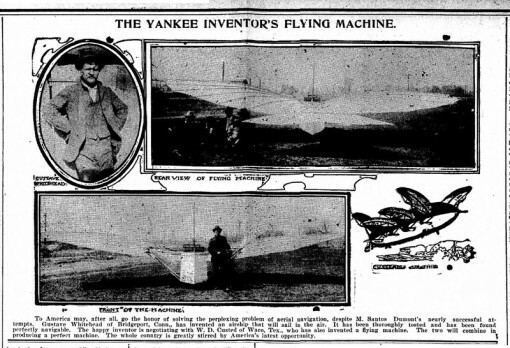 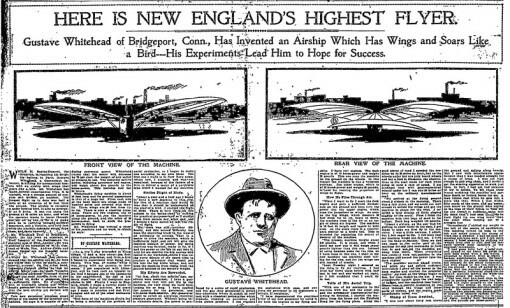 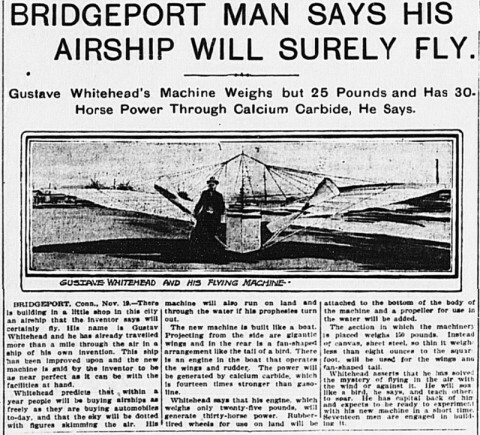 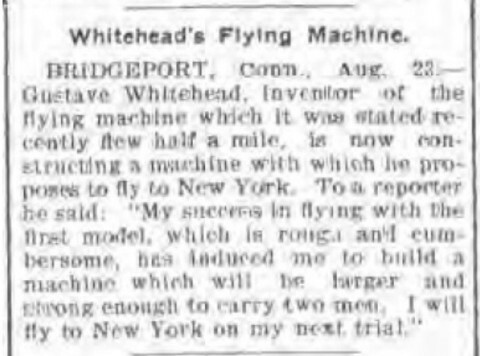 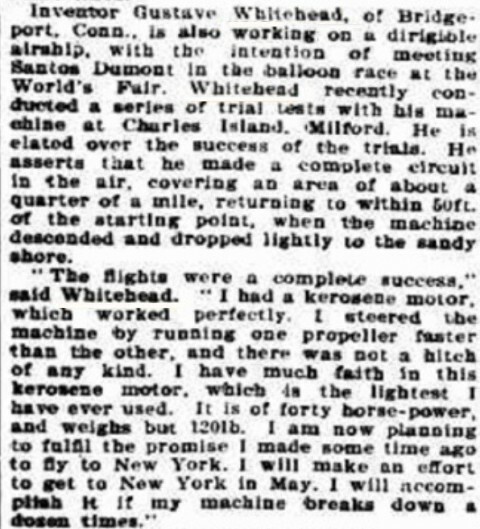 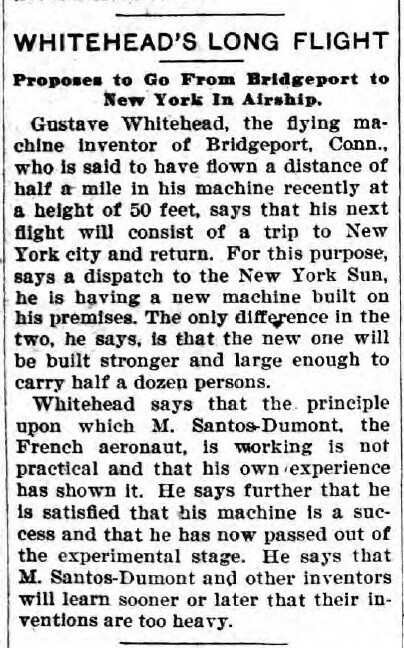 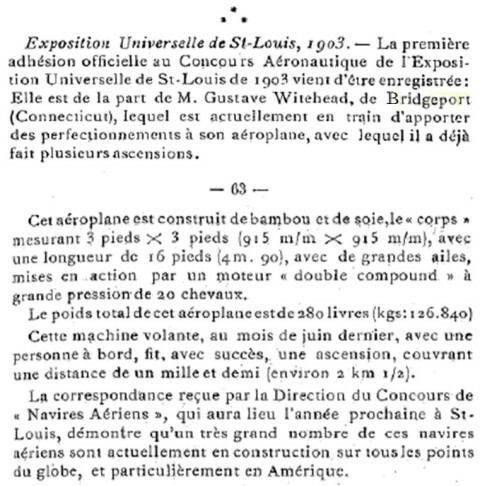 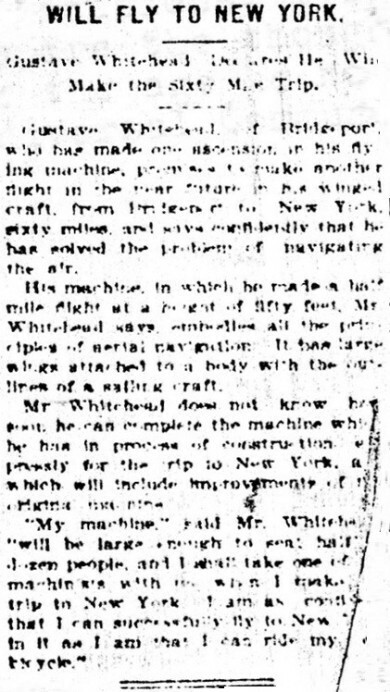 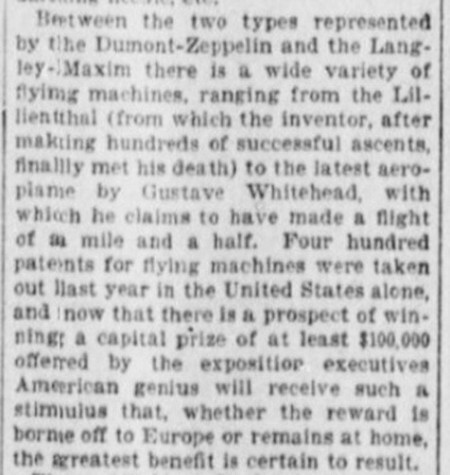 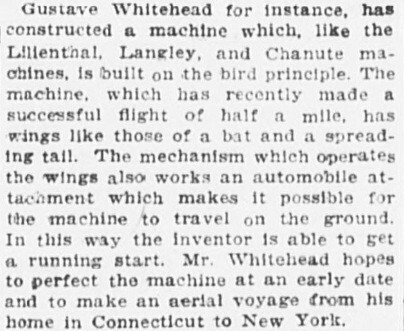 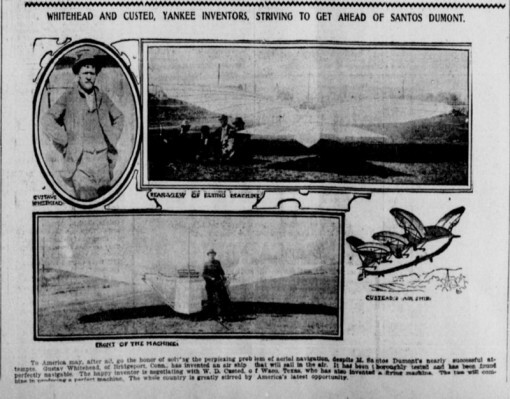 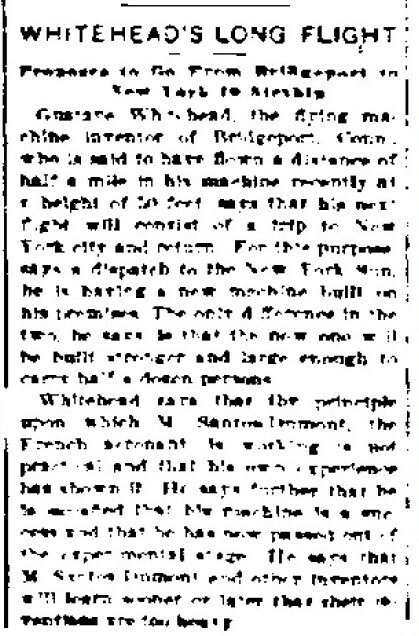 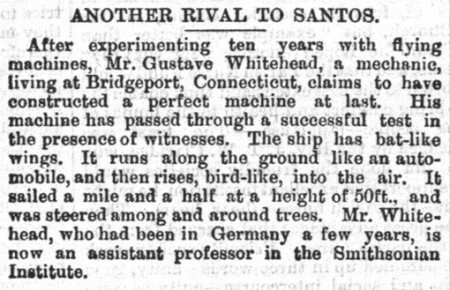 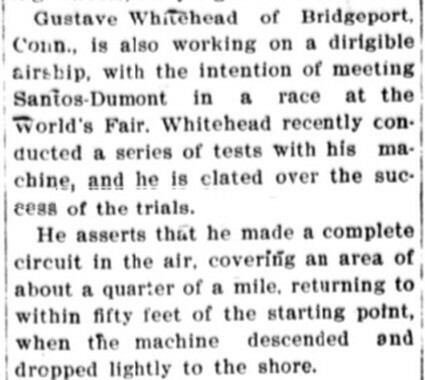 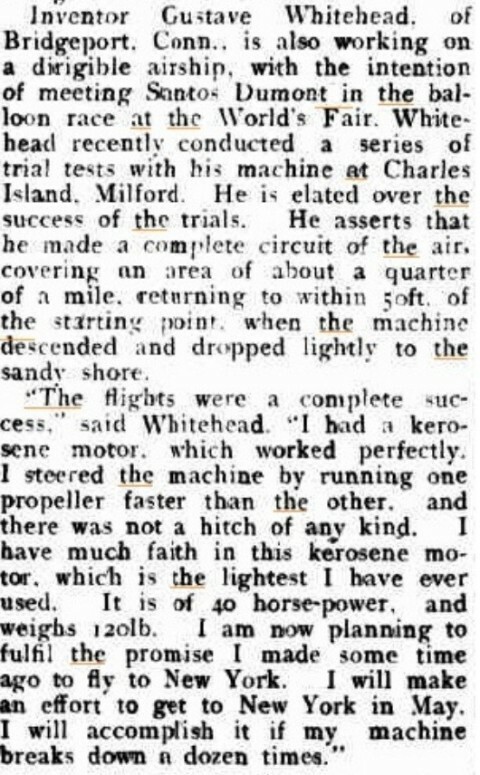 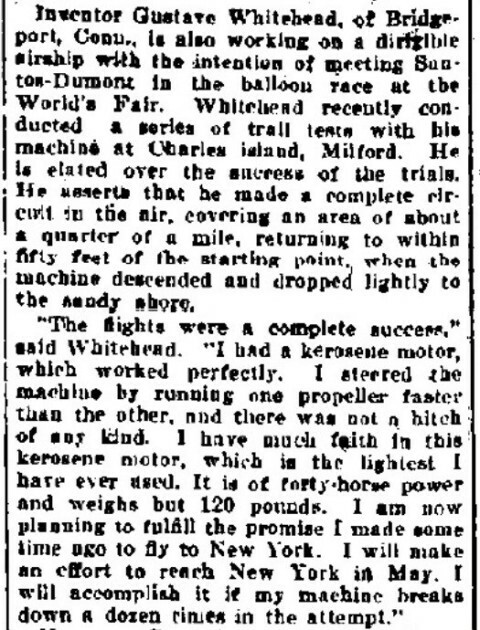 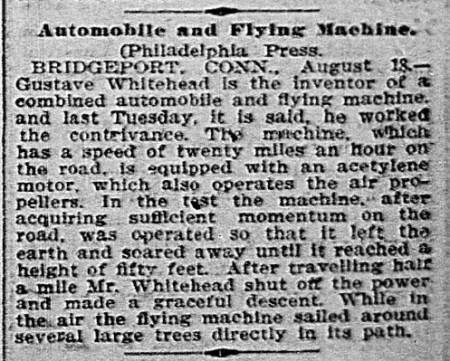 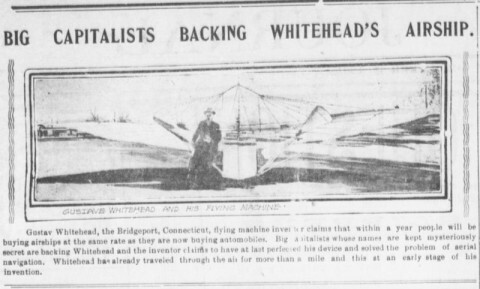 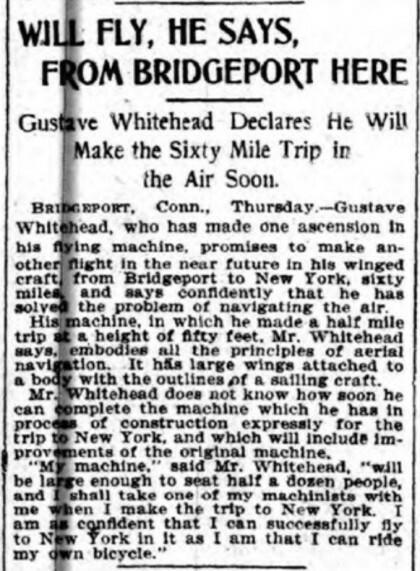 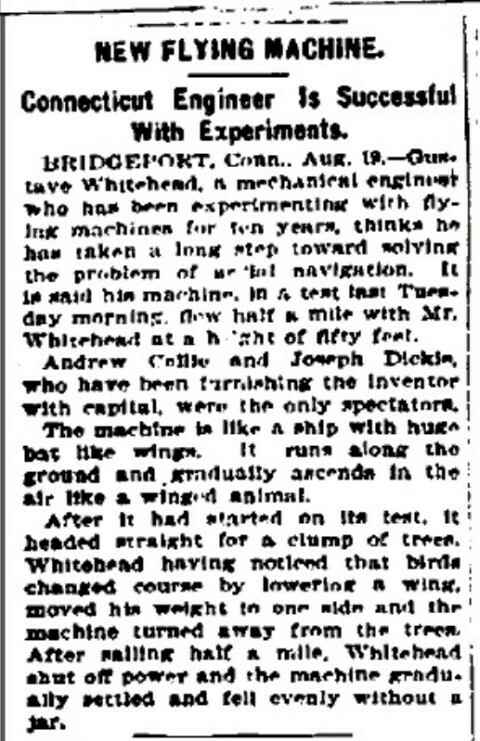 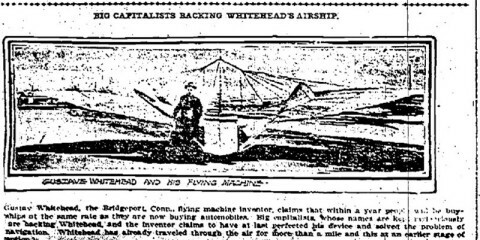 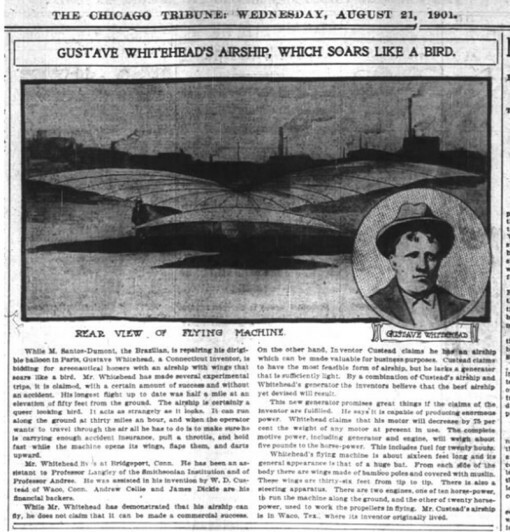 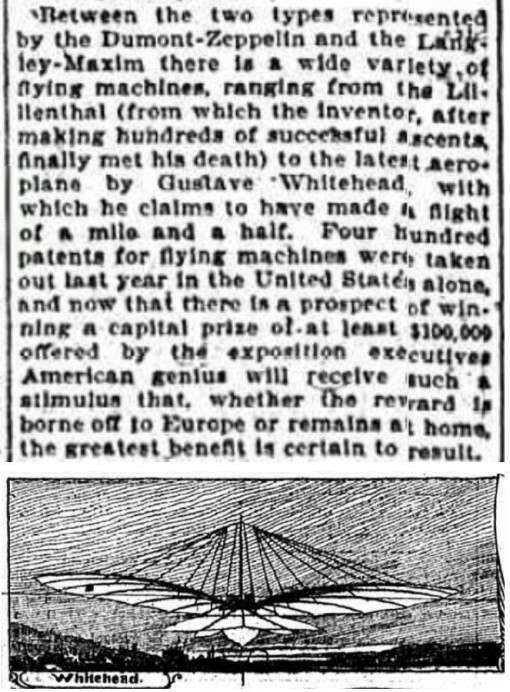 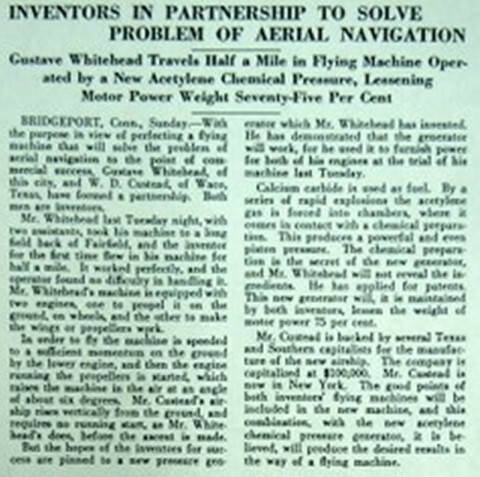 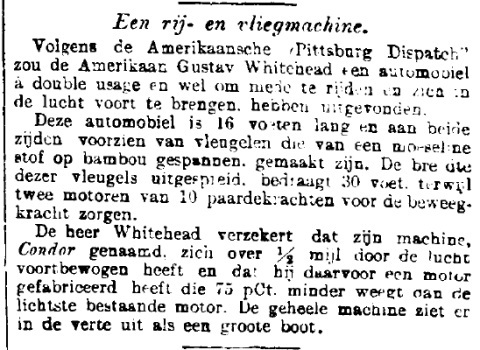 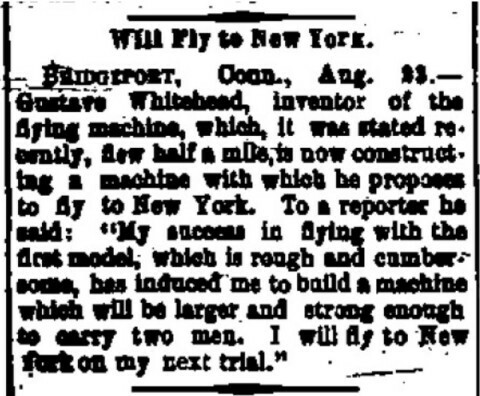 The Gustave Whitehead Project is a repository for primary documents relating to the aviation pioneer from Bridgeport, CT. To learn more about this site, click here. 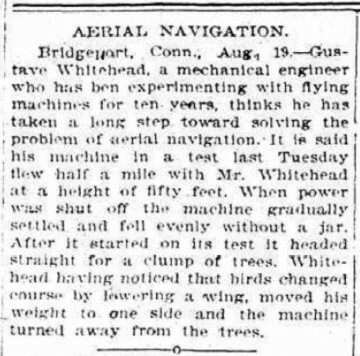 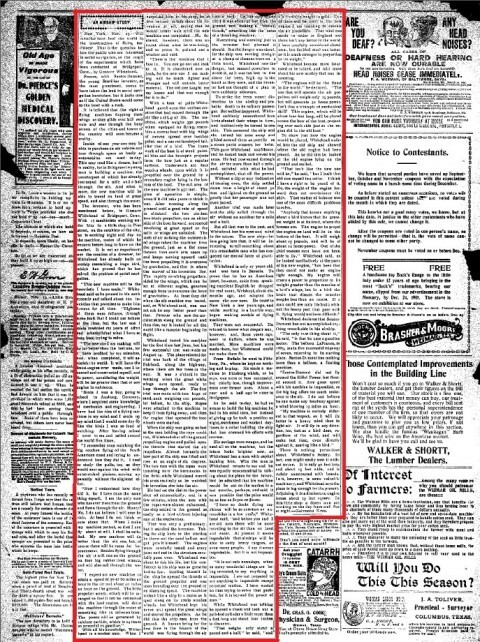 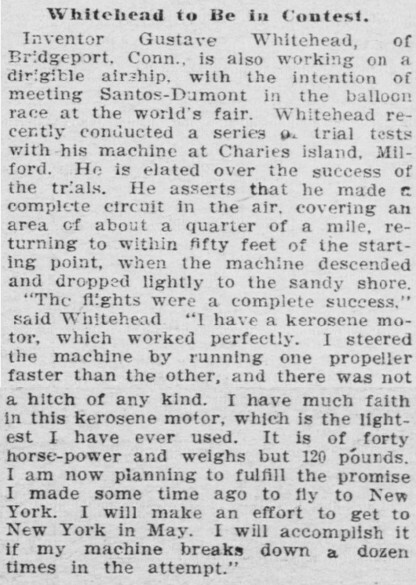 August 28, 1901 Danbury News, CT.
September 2, 1901 Daily Ardmoreite, Okla.
September 4, 1901 Punxsutawney Spirit, p.7, PA.
December 7, 1901 Conconino Sun, p.7, Flagstaff , Ariz.
December 18, 1901 Adair County News, Columbia Ky.
January 28, 1902 The Scranton Tribune, Pa.
April 12, 1902 Deseret Evening News, Part 2, Salt Lake City Ut. 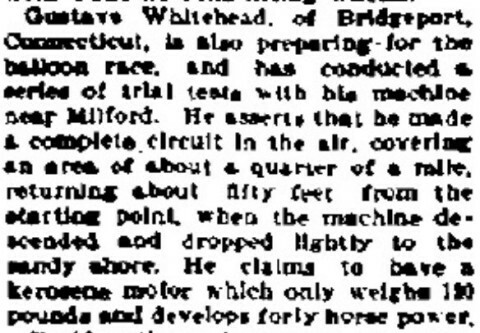 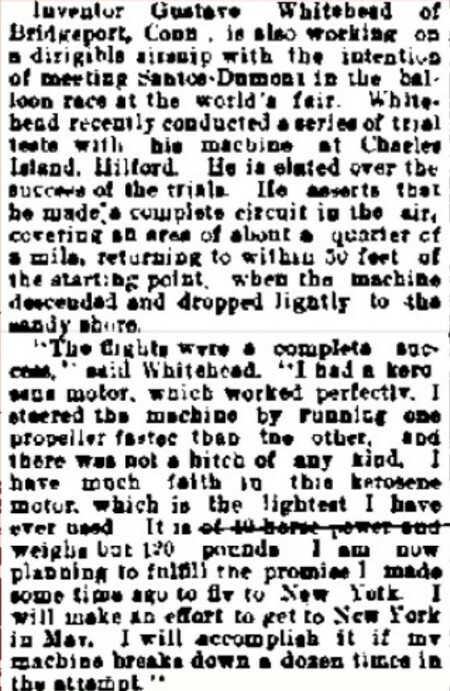 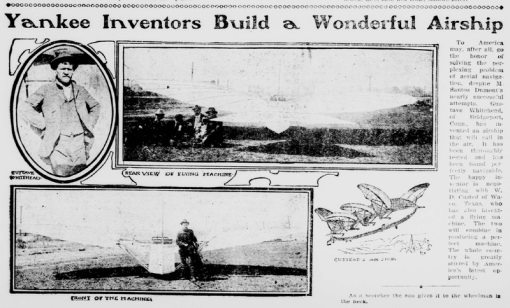 April 19, 1902 Deseret Evening News, part 3, Salt Lake City Ut.